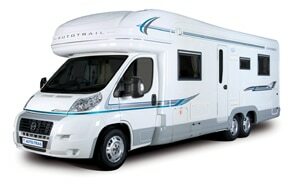 There has been alot of talk on the Isle of Man about the parking of Campervans/Motorhomes in residential areas. Well Airport Secure Parking has a simple solution. Let us take care of it for you. Both prices can be paid as one annual payment. The minimum storage period is three months. Vehicles larger than 9.3 metres will be quoted separately. For more information and to arrange a visit to our secure compound please contact us.